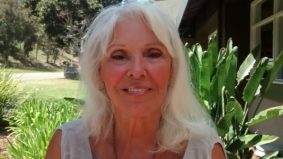 Lynn Katherine Barnes - Malibu Funding, Inc.
Lynn Barnes has been in Real Estate since 1976. Lynn began assisting clients when purchasing their homes with financing in 1992 and decided she preferred financing their dreams rather than finding them. Her experience in the Real Estate and Mortgage Industry spans over 30 years both in Northern and Southern California. She truly enjoys helping clients and presently lives in Southern CA and resides in Oceanside. Lynn is open in assisting clients in their Real Estate needs but mostly her focus is on obtaining their financial needs and goals. She has enjoyed her career not only in helping clients but has benefited greatly by making them lifetime friends.